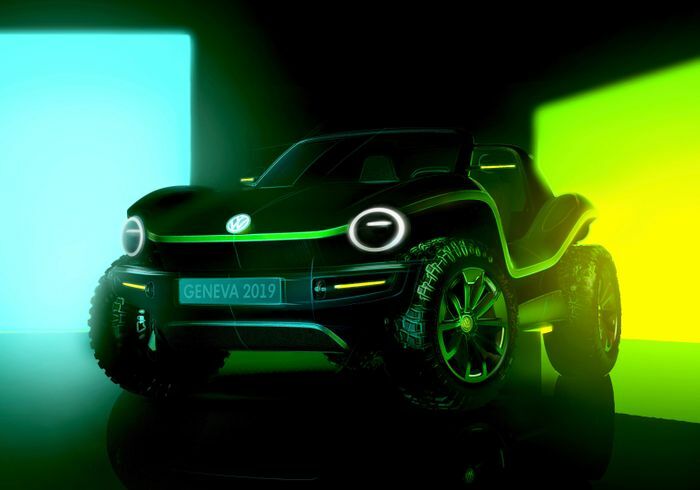 Reborn fun-merchant Volkswagen has just released a pair of rendered images of its new electric ‘dune buggy’ concept. 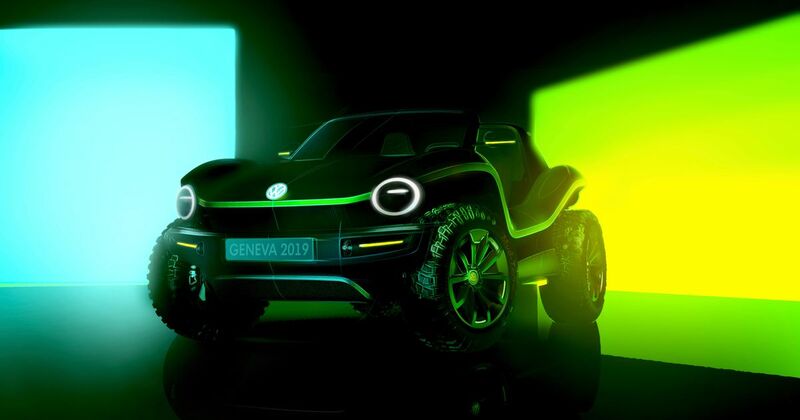 The post-dieselgate brand is pulling out all the stops to inject emissions-free fun into its range and the nameless buggy concept is central to that. It’s being prepared for a debut at the Geneva Motor Show in March. Based on the new, modular MEB chassis, which also underpins the I.D electric hatchback, the buggy has, for now, assumed the moniker ‘MEB buggy.’ It has no roof or doors, with a free-standing windscreen and rear roll-over bar. 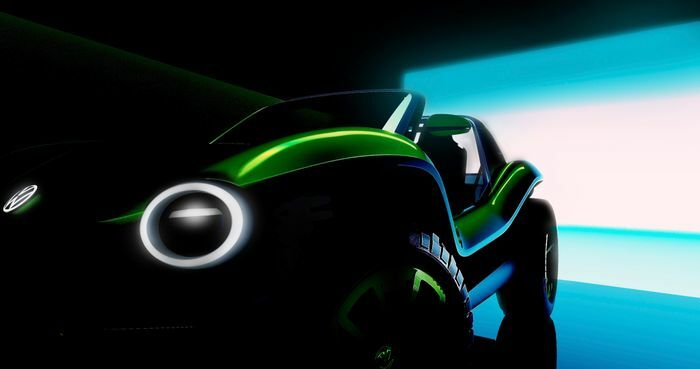 It does, as we suspected, resemble the Buggy Up concept from 2011. It’s fitted with huge off-road tyres, ring-style daytime running lights and an illuminated VW badge on the nose. There’s even a mock skid plate at the front. We love it; it’s like an irrepressibly enthusiastic bulldog puppy that thinks it can roll with the big dogs. If the MEB buggy were to use the same drivetrain as the one rumoured for the I.D hatchback, it could have a 48kWh battery pack linked to front-wheel drive. Four-wheel drive is possible in several different configurations. The side mirrors are so slim that they can only be cameras, with the rear-view image perhaps displayed on interior screens. Anything beyond that is purely speculation, though: we’ll have to wait until 5 March to find out the full details.